David Gravel won the Sears Craftsman Dash, earning the pole for the 30-lap Feature in search of his fifth victory of the season aboard the CJB Motorsports No.5. Gravel led the opening lap with Shane Stewart, who started next to him, close in tow. While those two separated from the field, all eyes were on Jacob Allen who charged from his ninth-starting position to take third on Lap 7. Two laps later, Allen, glued to the bottom, took the lead to a large roar from the Eldora Speedway crowd in search of his first career Outlaw triumph. Gravel and Stewart battled for second, with the duo making contact and Gravel ending up backwards with 10 laps complete. “I thought I had David clear, it was all my fault. I don’t ever want to race like that,” Stewart said after the race in good jest. 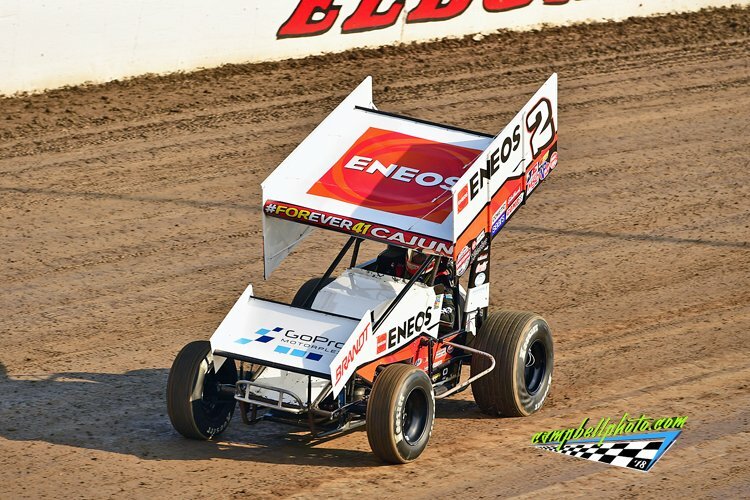 Allen elected the bottom on the double-file restart, but it was Stewart taking control of the field down the backstretch in the Kyle Larson Racing ENEOS-sponsored No.2 machine. Stewart stretched out the lead around the famous Ohio half-mile as Tim Shaffer and Donny Schatz began their charge forward. By Lap 20, Shaffer had worked by Allen for second and set his eyes on Stewart. Schatz stormed by Allen for third on Lap 24. Shaffer closed in on Stewart in lapped traffic, but never truly challenged the Bixby, OK native for the lead as Stewart would win his first Feature of the season by 1.665 seconds. “I never want to win a race by crashing a guy,” Stewart said in Victory Lane before savoring the triumph. “We’ve been close to winning a couple of times this year, hopefully, we can have some momentum now and get rolling. It’s always special to win at this track,” Stewart said in Victory Lane. “To get a win going into the Month of Money is huge, I feel like we have a pretty good package right now. We’ll see how the next two nights play out, I’m looking forward to it,” Stewart added after the race. Tim Shaffer’s second-place finish was the best of his 2018 Outlaw campaign. Shaffer, a two-time Outlaw winner last year, charged from eighth to fourth in the Sears Craftsman Dash railing the cushion. Donny Schatz, who won both Outlaw events at Eldora in May, settled for third. “We’ll be a little better on Saturday for 10 laps more. The race track here can be tricky,” Schatz said in good spirits, in anticipation of the rest of Kings Royal weekend. Kerry Madsen, the Jokers Wild winner last year, charged from 16th to fourth with Brent Marks completing the top five. Marks started 20th and his effort was good enough for KSE Hard Charger Honors. 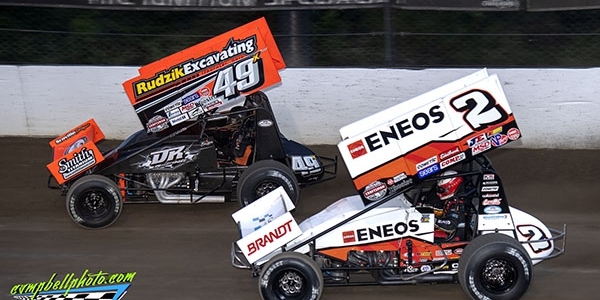 The World of Outlaws Craftsman Sprint Car Series continues Kings Royal weekend at Eldora Speedway Friday night, July 12 with the running of The Knight Before the Kings Royal! If you can’t make it to the track, watch all the action LIVE on DIRTVision.com!